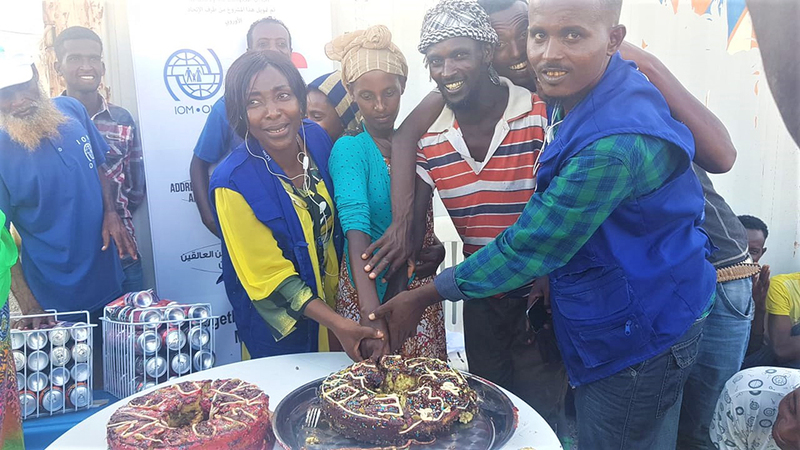 Addis Ababa – The EU-IOM Joint Initiative for Migrant Protection and Reintegration is celebrating its second anniversary in the Horn of Africa (HoA). 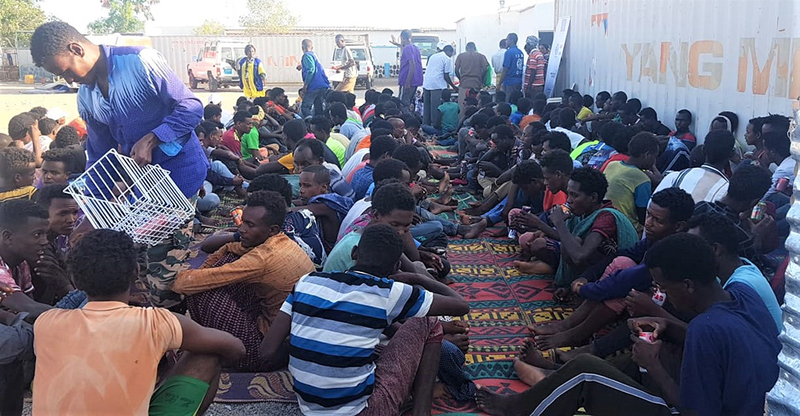 In 2018 alone, more than 2,500 Ethiopian migrants were assisted to return home from various countries. 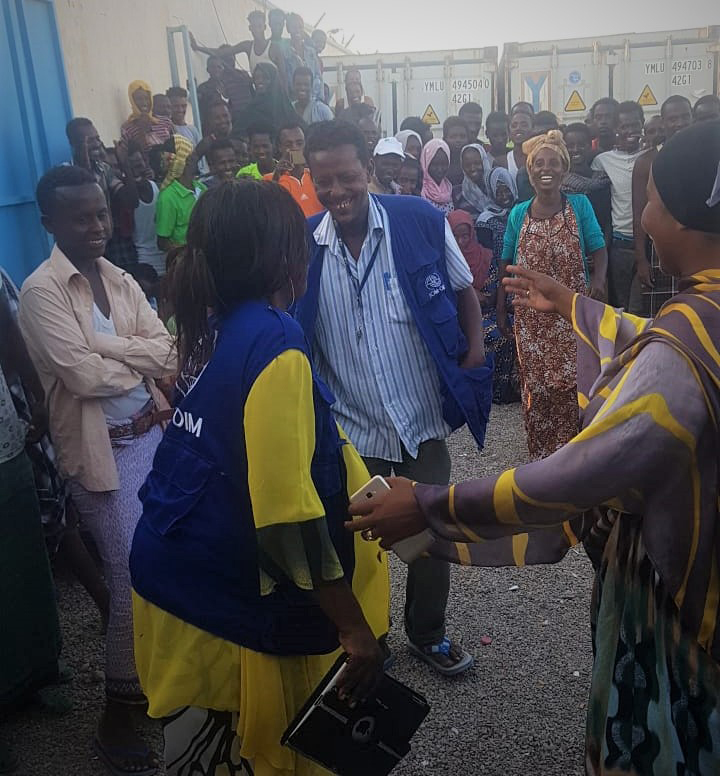 Reintegration assistance was provided for more than 2,300 returnees, while 1,672 returnees received psychosocial support at the migrants’ transit centre in Addis Ababa. More than 2,000 returning migrants were provided with post arrival medical assistance and others received educational support. But the programme is not just about numbers. There are also the personal stories, told by those whose lives have been touched by the initiative, commonly known as the “Joint Initiative”. 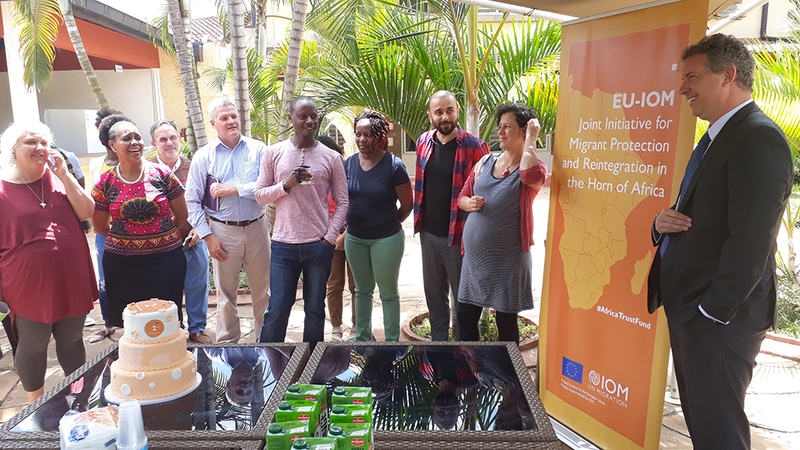 Launched in December 2016 with funding from the EU Emergency Trust Fund for Africa (EUTF), the EU-IOM Joint Initiative for Migrant Protection and Reintegration is the first comprehensive programme to save lives, protect and assist migrants along key migration routes in Africa. Take Tigist, for example. Financial reasons forced this young Ethiopian woman to heed her friends’ advice and migrate to Sudan, where she was promptly hired as a house maid. Unfortunately, things started to change. Her employer would not pay her the promised wage. Eventually, Tigist – now mother to a baby boy in need of medical attention – decided to return home, becoming one of a large number of migrants who needed assistance to head back to their countries of origin. The Joint Initiative covers and has been set up in close cooperation with 26 African countries in the Sahel and Lake Chad, the Horn of Africa, and North Africa. Its inauguration followed the launch of the EU Emergency Trust Fund for Africa at the Valletta Summit on Migration in November 2015. In the HoA, the Joint Initiative assists migrants in four priority countries: Djibouti, Somalia Sudan and Ethiopia; Ethiopia is the country with the largest movements in the HoA. The programme offers tailor-made reintegration assistance for returning migrants seeking to restart their lives in their countries of origin. This includes medical assistance, psychosocial support, links to employment opportunities, and training in entrepreneurship. Another service offered is family tracing and reunification for migrant children. This is done in close collaboration with the Ministry for Women, Children and Youth Affairs. 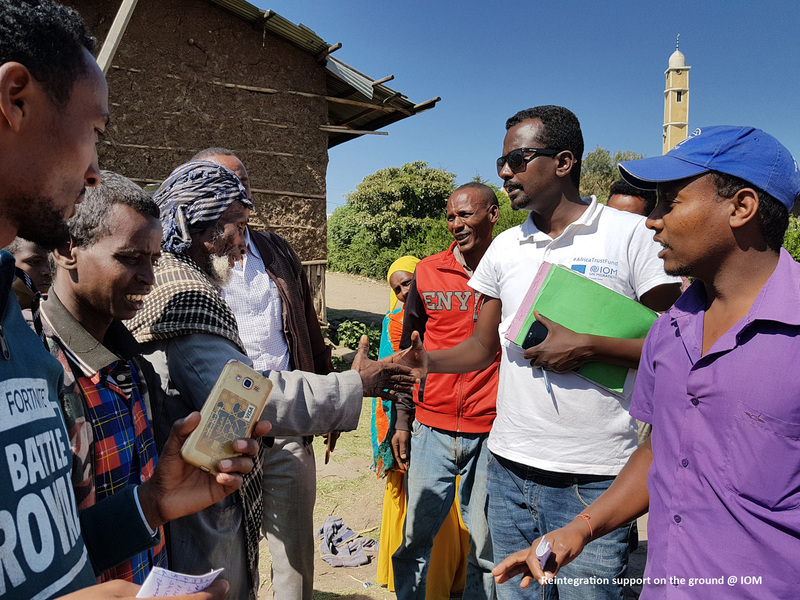 In Ethiopia last year, entrepreneurship training was conducted for close to 700 returnees, of whom many established small business, such as cafeterias, retail shops, carpentry workshops, even cattle fattening and dairy enterprises. 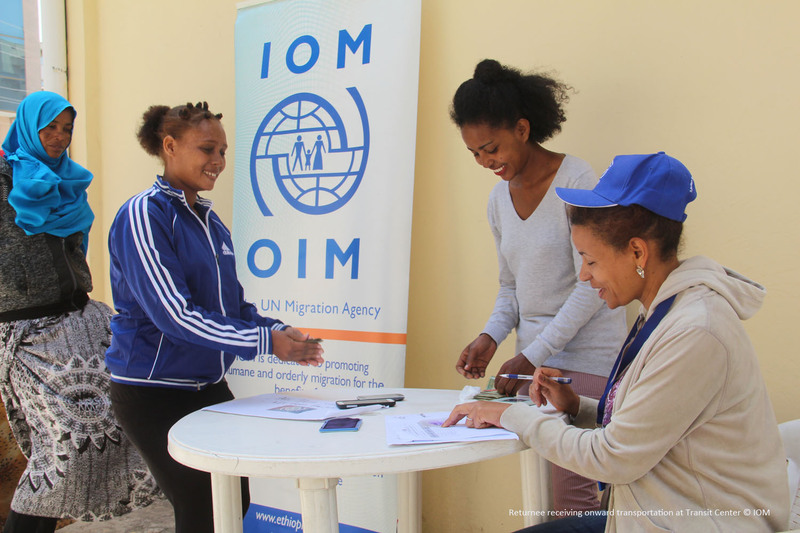 So far this year, more than 140 returnees received economic reintegration assistance to open up small businesses in Oromia and Southern Nations, Nationalities and Peoples’ Regional States – two regions prone to irregular migration. Among these is Tigist, who opened a retail shop to support her family after returning to Ethiopia. In addition, her son is receiving medical treatment through the programme as he had to undergo heart surgery. “Of all support I have received, the medical support for my son made the most impact in my life,” Tigist says. 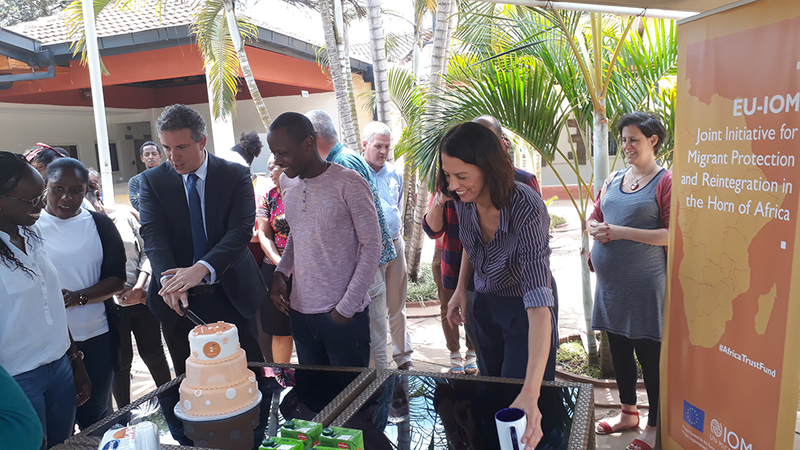 Working with state and non-state actors, the Joint Initiative complements the efforts of the Government of Ethiopia in the reception and reintegration of thousands of vulnerable migrants stranded in different countries. Joint Initiative activities in Ethiopia. Returnee receiving onward transportation at Transit Centre in Ethiopia.